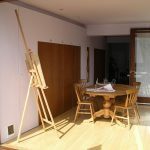 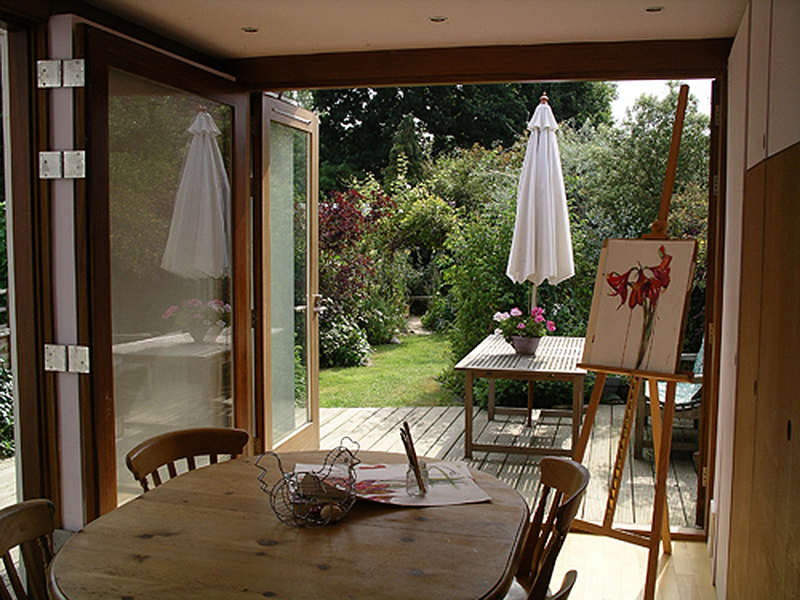 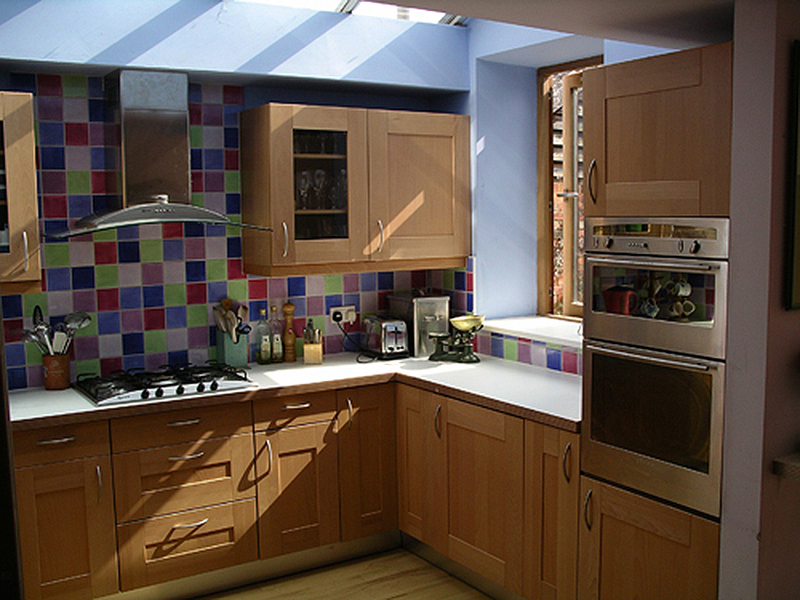 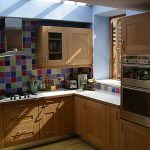 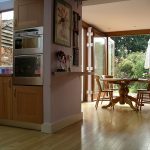 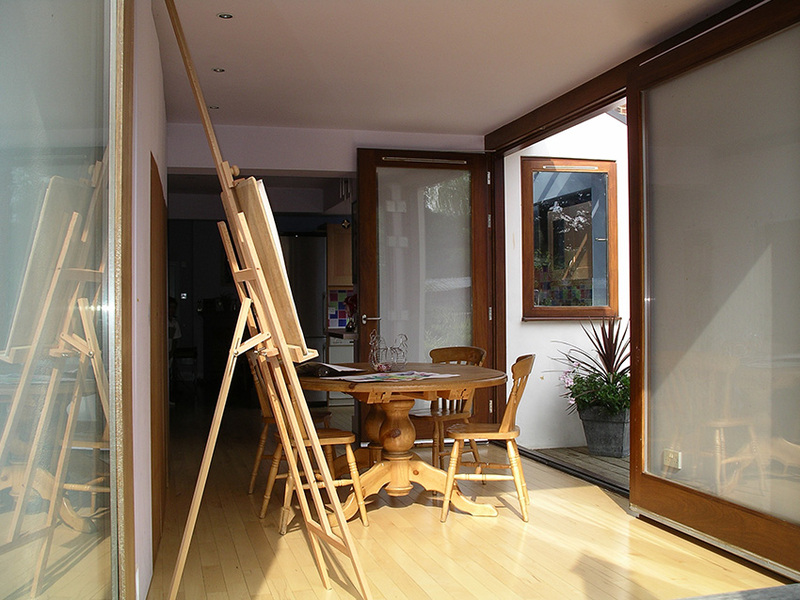 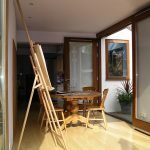 A modern addition to a Victorian home in Horley Surrey, creating a larger kitchen -breakfast room as well as an arts and craft area. 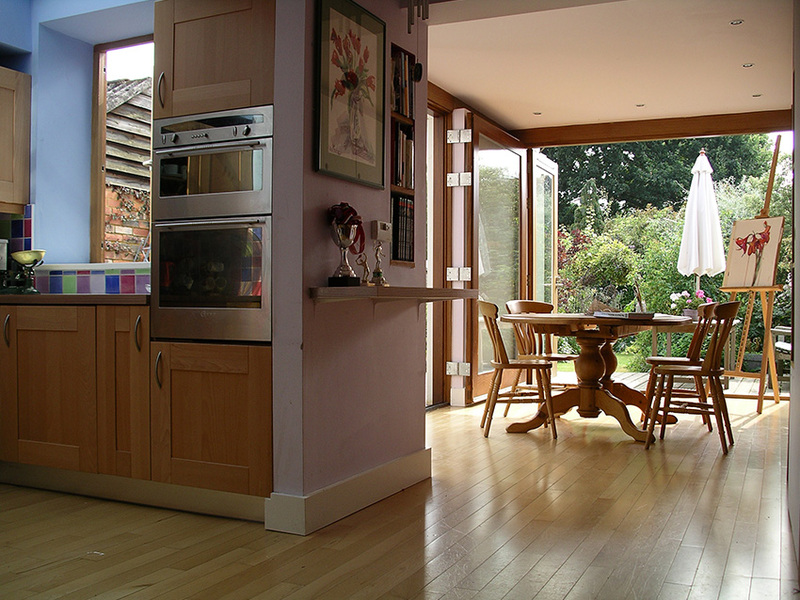 The client wished their new extension to be come a modern addition that flowed from their existing Victorian home. 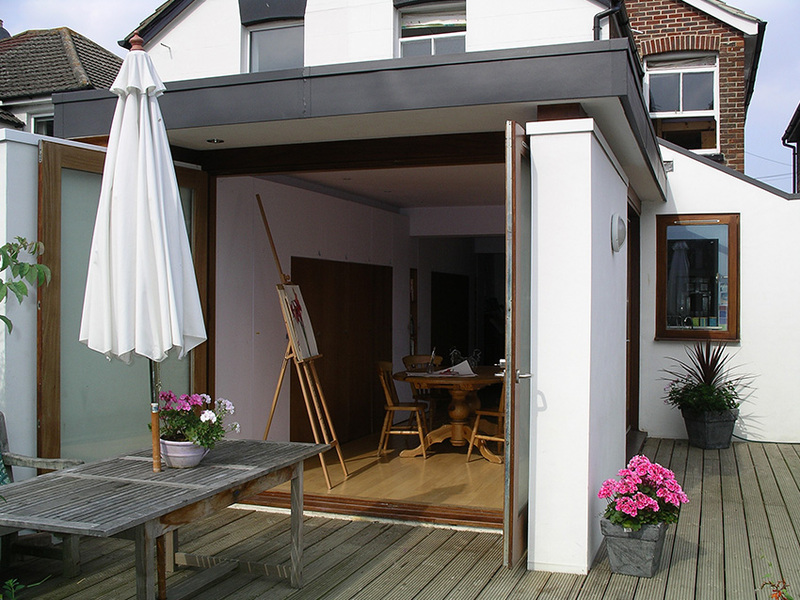 With an external rendered finished wall and timber framed inner leaf. 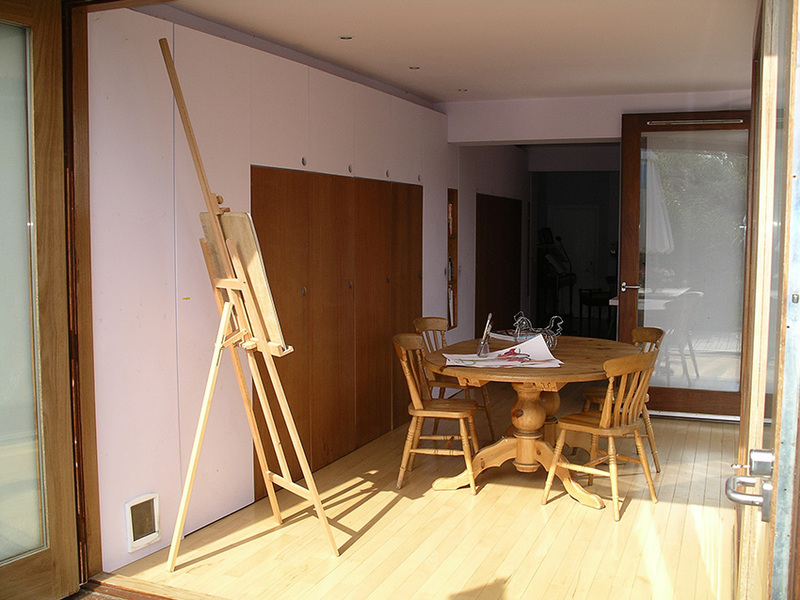 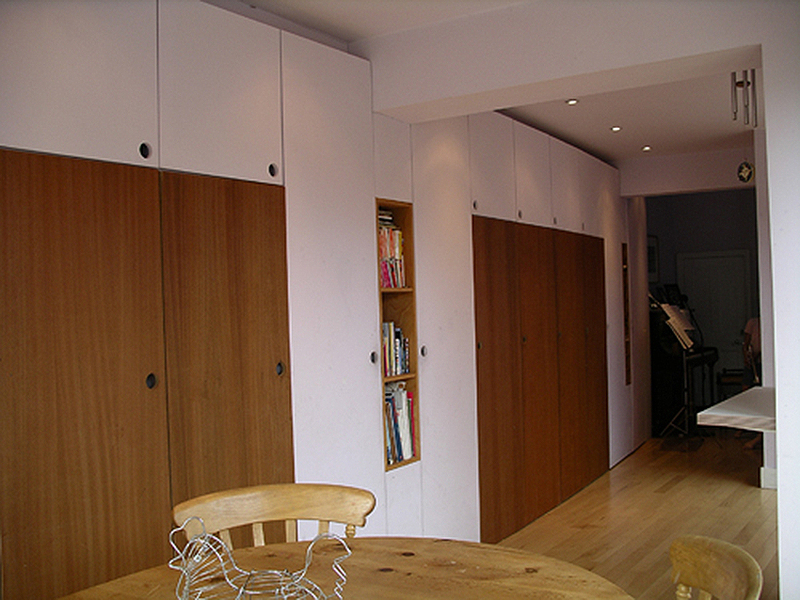 Therafleece insulation was used to the walls as well as cellulose to the roof area, allowing the extension to breath. 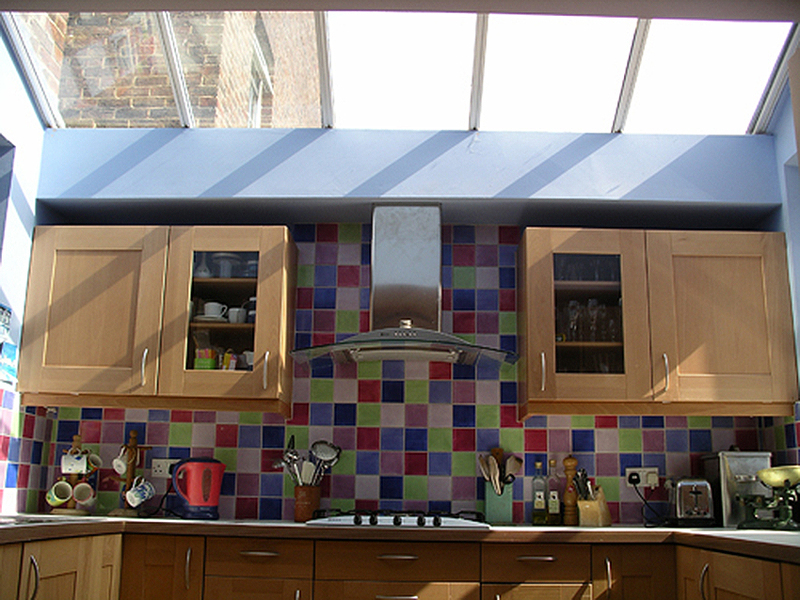 The roof application was a single ply roof membrane FDT that matched in colour with the ally clad fascia. 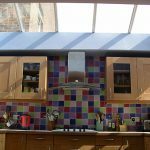 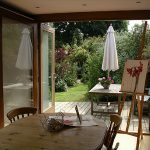 Under floor heating was installed throughout as well as large timber doors that allowed the garden and natural light to flow, in introduction of a glass lean to roof over the kitchen area contributed to the overall success of the extension.